CV template to download "Capital"
The Capital Resume has a simple and well-organized format that is sure attract the attention of your potential employer! 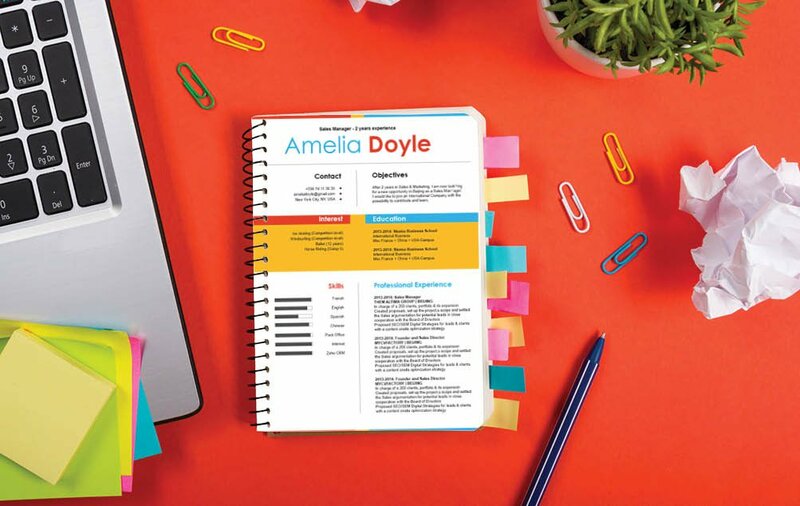 This simple resume template offers a creative design with colors, shapes, and texts that bring out all the key information within your cover letter. 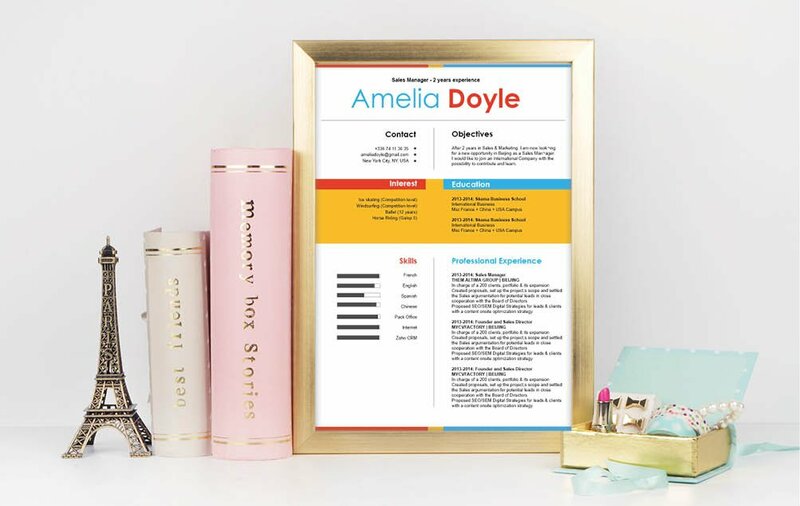 Professional experience, skills, and even interests are presented in a clear and eye-catching manner, which makes this resume applicable to any job type out there! 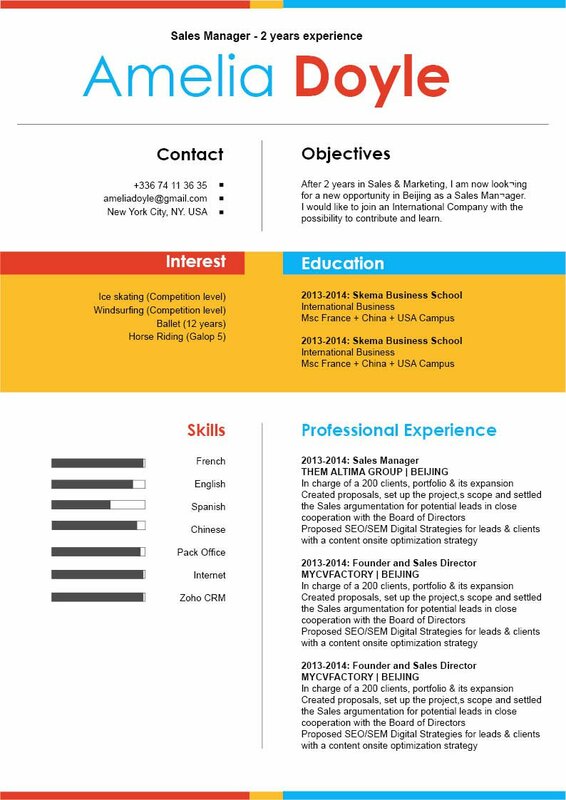 Rest assured with this resume template you are sure to land that dream job! Building an effective resume can be a hard thing, but no need to worry! Right here, we'll give you tips on how to make a more clear and comprehensive resume format. That resume of yours will surely land you that dream job! 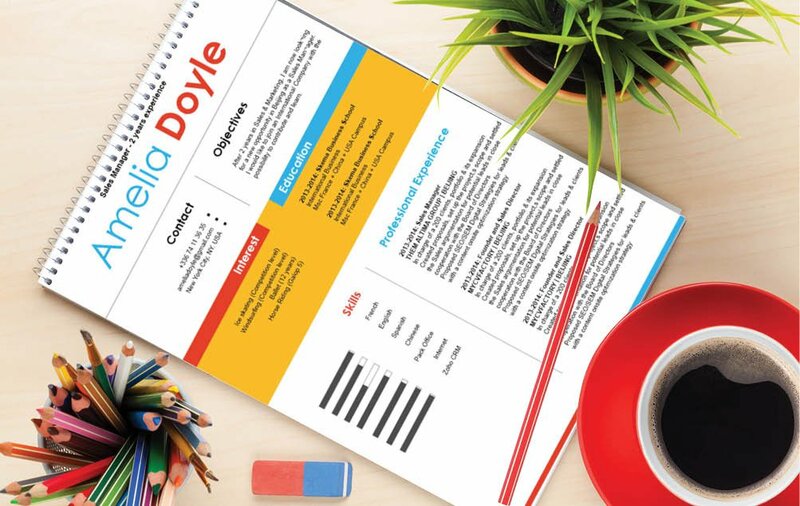 One key factor in making a resume more effective is how well you create its lay-out and over-all structure. To achieve this, use simple yet professional looking fonts such as Helvetica or Sans Serrif fonts, limit your font sizes between 11-12, and us italic and/or bold font styles to help guide your potential employer's eyes along your resume. The use of bullets and symbols can help highlight the essential parts of your resume that need emphasis. Also, headings and subheadings can give your resume a logical format which makes it easier to read for your readers.